Step 1 Cleanse– Using your favorite cleanser lightly scrub your face then rinse and repeat. This will exfoliate dead skin and daily grime while targeting your pores. Step 2 Apply– Apply two pumps worth of our serum to your palms rub together and gently massage your face and neck. Careful to coat whole area with a thin layer. Step 3 Relax– Allow a minute or two for our Anti-Aging Silver Chitosan Collagen Regenerative Serum to dry. In the meantime relax and enjoy the feeling of your skin being toned and brightened. 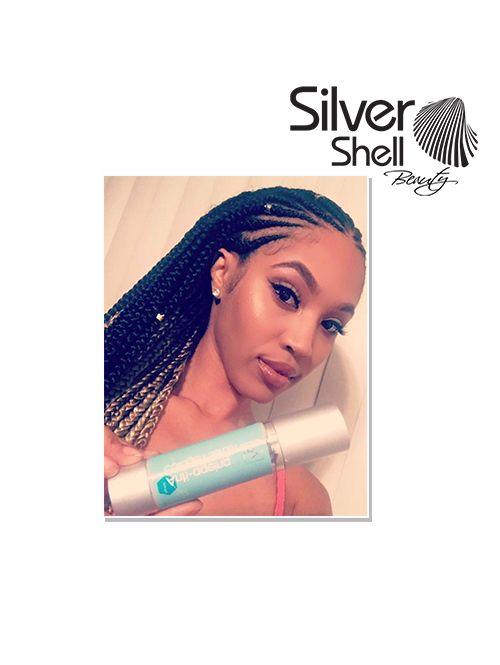 Step 4 Makeup– Apply your favorite makeup or feel free to go out and face the day; knowing your skin is protected by the Best Beauty Serum available!